Date Elected or Appointed: Elected November 2002; re-elected November 2006, 2010, 2014 and 2018. Served as Mayor in 2006, 2011 and 2016. She is currently serving as Mayor. Mayor Jeannie Bruins was elected to the City Council in 2002, and re-elected in 2006, 2010, 2014 and 2018. She served as Vice Mayor in 2005, 2010, 2015 and 2018, and as Mayor in 2006, 2011, 2016 and serving as mayor in 2019. 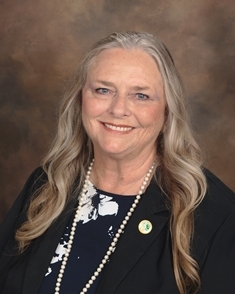 Mayor Bruins is a 34-year resident of Citrus Heights. She is a 23-year member of the Rotary Club of Citrus Heights; and a Ruby Paul Harris Fellow. She is also a member of Valley Springs Presbyterian Church, where she served on the Board of Trustees for six years, volunteers for adults with special needs Saturday night service, volunteers in children's programs; and sings in a choir and praise team. Mayor Bruins loves to garden and spend time with her family. She has two grown sons, four grandchildren, and three great-grandchildren.